Having worked as a stylist and designer, I know first-hand that it’s not often you find a client willing to take a design risk. 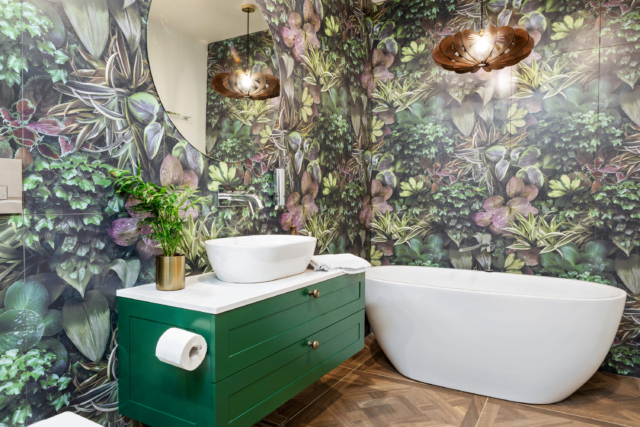 So when Birdblack Design interior designer Sarah Nolen’s latest project allowed her to use a very bold jungle-inspired tile she must have felt as if she’d hit the client jackpot. “The tile caught my eye when we were on a shopping excursion with our client. Given we had a good understanding of her personality I thought I’d test the waters and see what she thought. 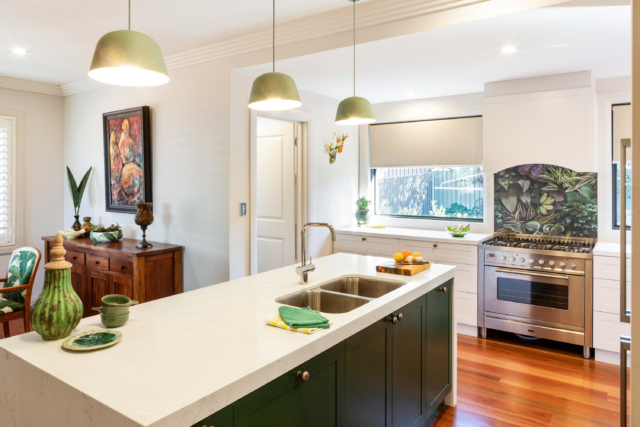 It was love at first sight!” says Sarah of the Di Lorenzo ‘Jane’ tiles that were used in this green-themed renovation in Kiama on the NSW south coast. 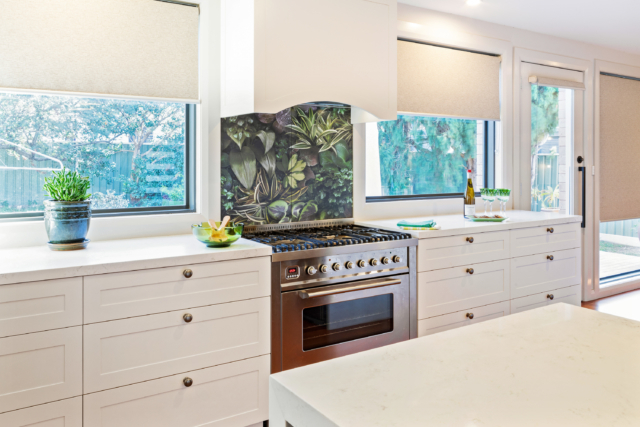 Inspired by Jane of the Jungle, the Italian porcelain tile uses digital ink technology for a precise print and its selection ended up paving the way for the rest of the renovation. 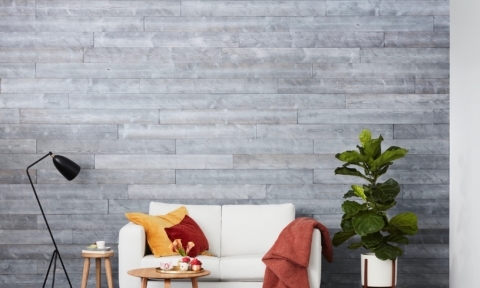 “The theme of green was born from our selection of the ‘Jane’ jungle tile. Green worked so well with the ironbark timber flooring and the soft white joinery and wall colours. 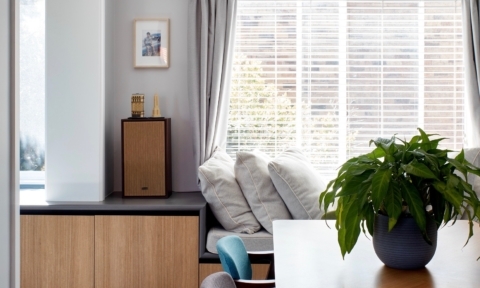 It was an easy colour to incorporate into each room without it dominating the space,” says Sarah. 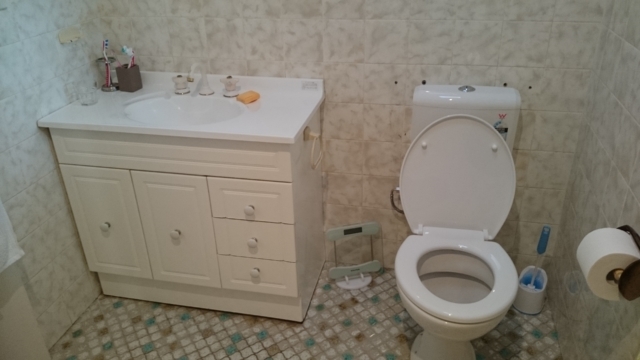 Aside from a brand new aesthetic, the bathroom’s layout is completely different too. 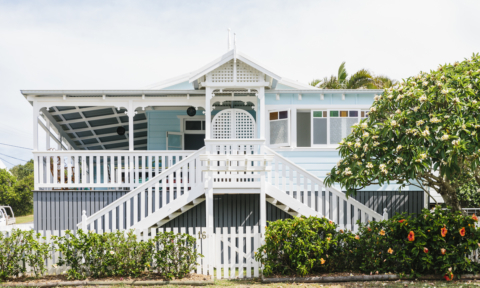 In the middle of the house, the original bathroom had no access to natural ventilation. 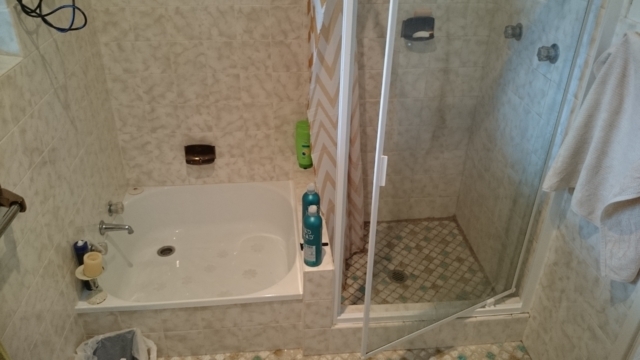 “The layout of the bathroom is a far cry from what it once was. The room can now function properly with adequate space around each designated area. 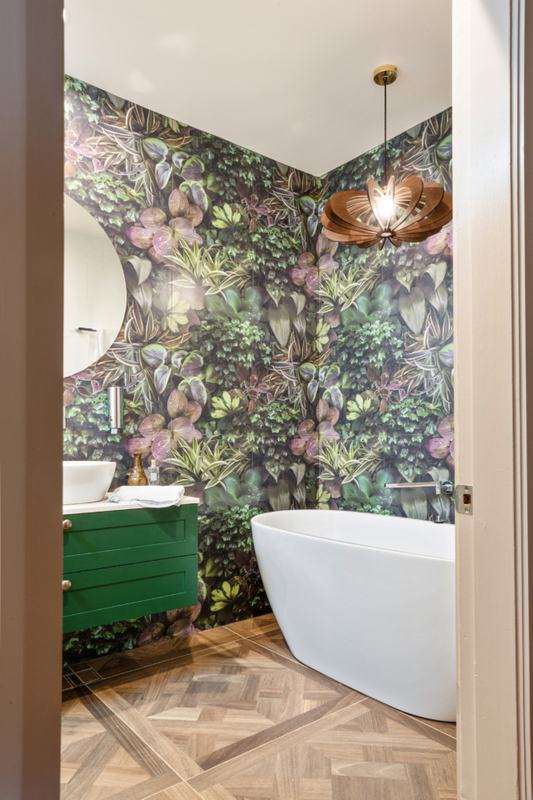 When lounging back in the freestanding bath looking up at the tiles, you’ll feel like you’ve ducked off to a hidden paradise. 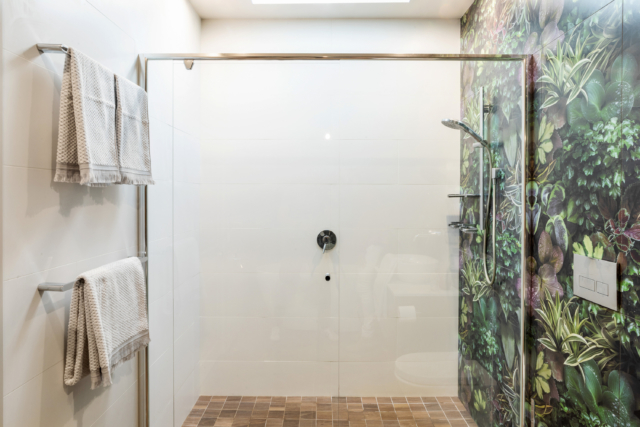 The Velux skylight above the shower is also a highlight for me, not only functional but you can look up and see the stars at night,” says Jane. The client loved the tile so much that it was used in the kitchen too – another space with a refreshed layout. 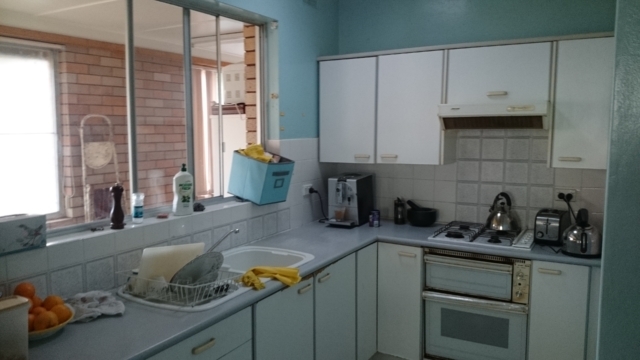 “The old kitchen was situated right in the middle of the house away from any external walls. We made use of the adjacent slim sunroom and extended the kitchen into this space. New windows and doors were installed and the natural light now comes flooding in,” says Sarah. 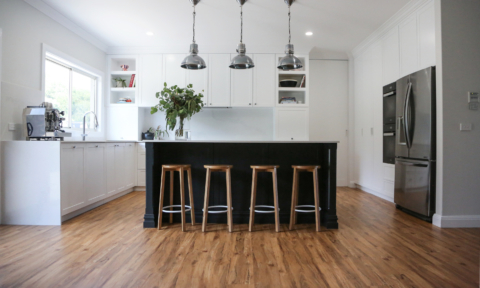 Ironbark timber floors, shaker style joinery in satin white and soft marble-look benchtops (Smartstone Amara) complete the look. 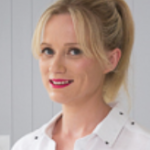 “When we design we constantly look to the rooms adjoining the kitchen and bathrooms and see if there are options to better utilise the spaces together. In this case we were able to completely transform the old sunroom that was too skinny to even fit furniture in. 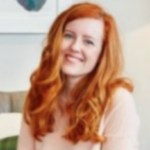 By opening up this space we’ve now created an entertainer’s dream kitchen and the natural light that pours through this space breathes life into every nook and cranny,” says Sarah. Amazing! 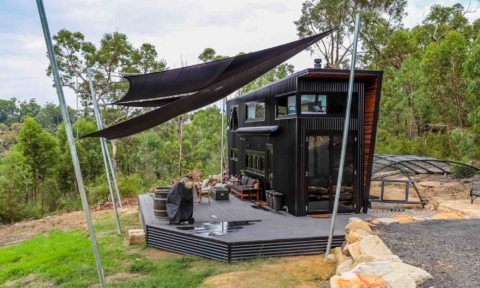 Where can I buy these tiles in Australia? Gorgeous! 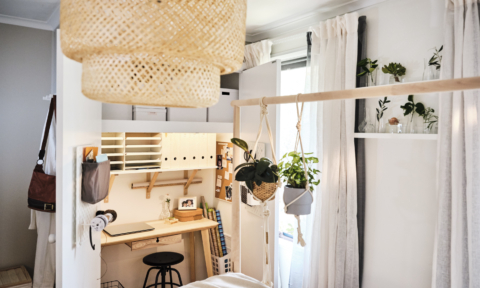 Where is the pendant light from? Hi Sharyn, best bet would be to the designer via her website at the end of the post.